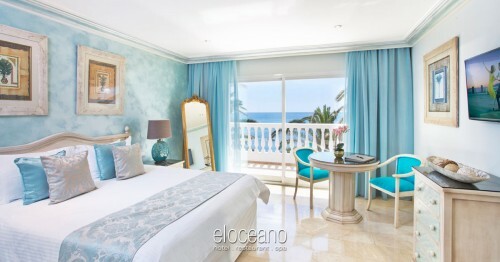 Hotel Facilities, Luxury at El Oceano Beachfront Hotel, Mijas Costa, Spain. 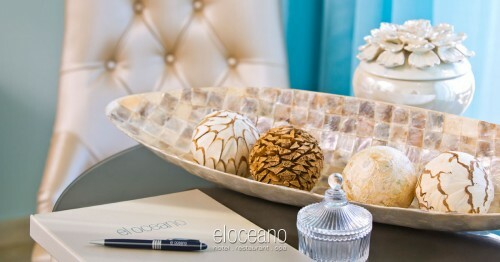 Hotel Facilities at El Oceano Beach Hotel, Mijas Costa, Spain. Heated swimming pool with ‘swim-up’ pool bar, beauty salon, beautiful bar and restaurant… plus the most amazing views of The Pillars of Hercules in North Africa, all from the comfort of the lush, well-tended semi-tropical gardens. A hotel so good, you may never want to leave. 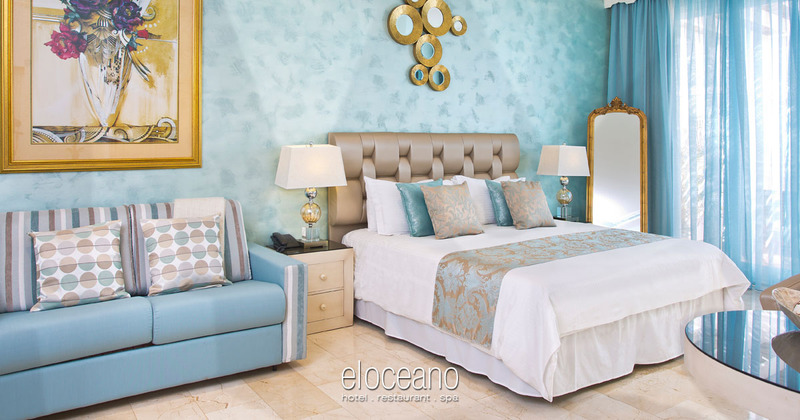 The stunning El Oceano Beach Hotel is set within 10.000sqm of lush tropical gardens right on the water’s edge with a virtually private beach below! 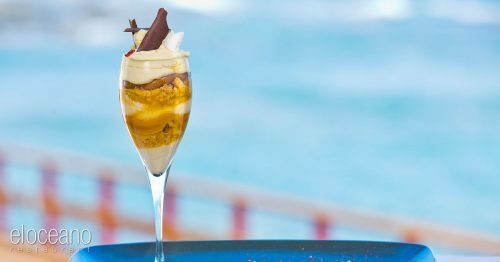 An elegant hotel and restaurant with heated swimming pool and ‘swim-up’ pool bar, beauty salon, and beautiful cocktail bar… plus the most amazing views of The Pillars of Hercules in North Africa, all from the comfort of the lush, well-tended semi-tropical gardens. 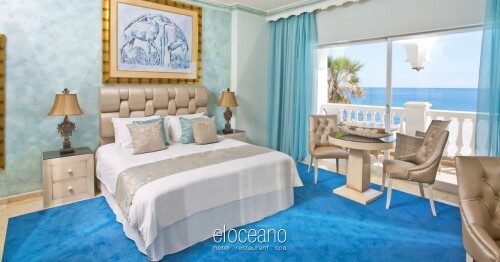 El Oceano Beach Hotel really is paradise! 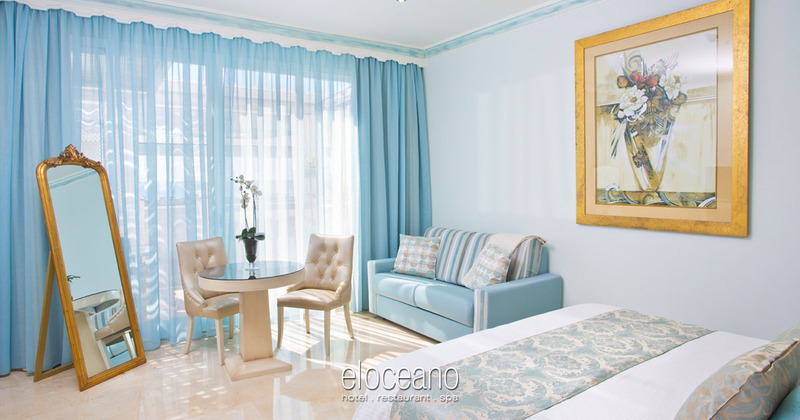 The quality of our beautifully decorated and equipped rooms will take your breath away and all have free WiFi, climate control, satellite TV with many boasting spectacular Mediterranean views. 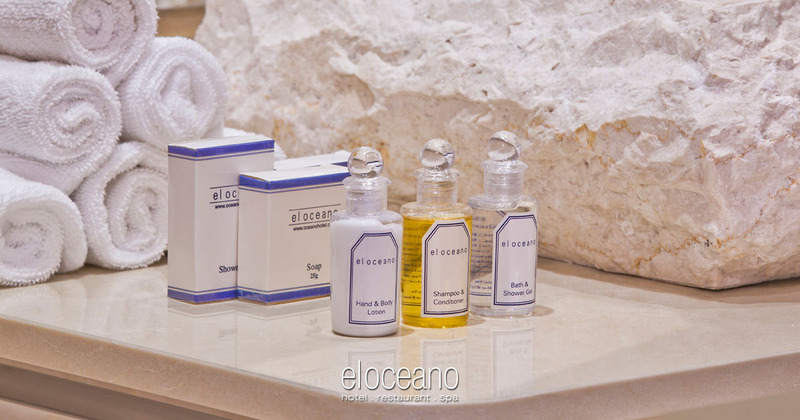 Our hotel facilities are everything you would expect from an exclusive, luxury hotel. 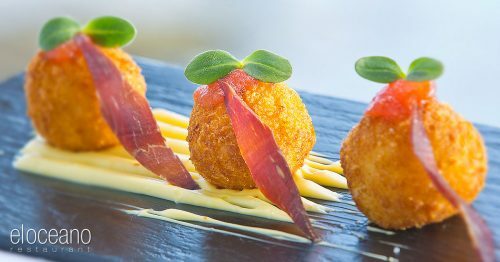 See more about our hotel, between Marbella and La Cala de Mijas… right on the Mediterranean sea-front, close to perfection! An elegant hotel with over 50 rooms of many types… choose from our Deluxe Mini Suites, Feature Bath Suites, Self-Catering Studio Apartment and, the jewel in the crown… our four spectacular Penthouse Suites. All with the highest standards of hotel facilities. 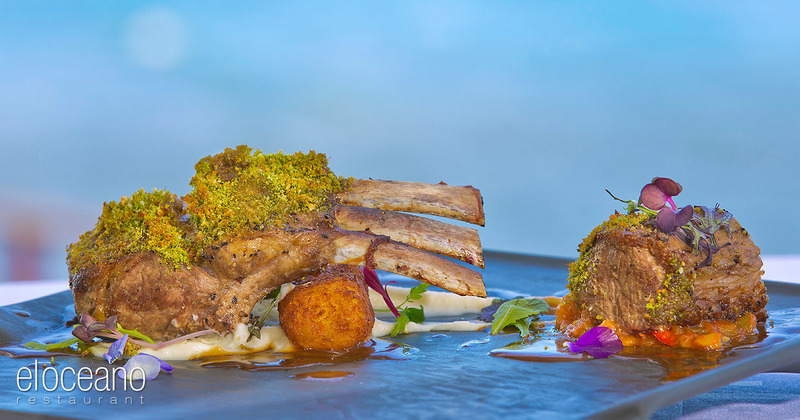 Quality cuisine, the perfect location and a level of service you will remember! 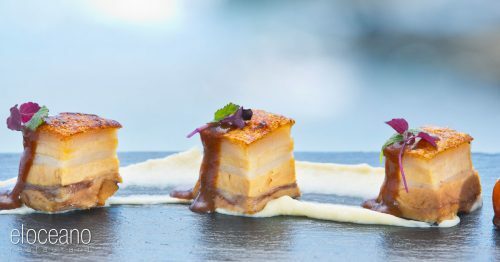 Our À la Carte menu is a culinary delight, available every lunch and dinner! ‘Light Bites’ are available for a lighter lunch time menu, plus of course… the incredible sea views! Live dining entertainment almost every night throughout the season! The perfect place to spend an “Awesome Afternoon”! VIP Sunbeds, personal waiter service, towels, plus a few cocktails, or a bottle Champagne! Perfection! The bar is a great place to relax and meet other guests. Right next to Reception, the bar is well stocked – see the cocktail menu or the wine list – and our knowledgeable and well trained servers can recommend some of our fine wines, not to mention more ‘exotic’ cocktails and combinations. Our award-winning mixologist, Pino, is always on hand to help. He knows what he’s talking about when it comes to drinks, we recommend you listen! The best way to relax after a day of adventure on the Costa del Sol, ready for your exquisite meal in the restaurant! Full range of hair, skin, nails and massage treatments carried out by professionals! El Oceano is so good, you may never want to leave! 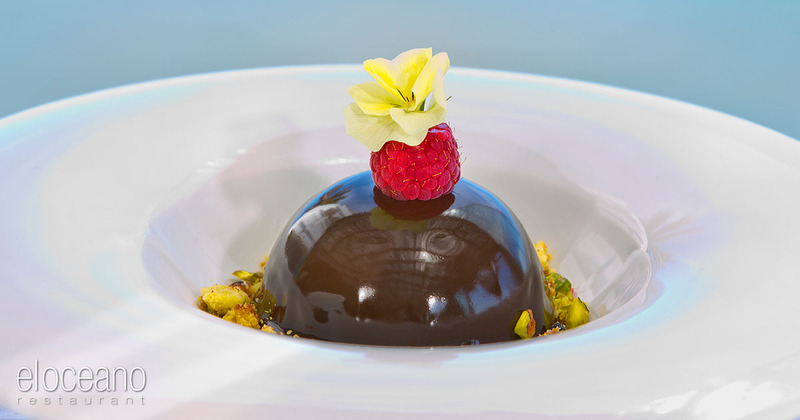 We’ve done everything we can imagine to make you stay at out hotel and enjoyable as possible… a relaxing and care-free environment beautifully complements the party atmosphere of our restaurant. We are so lucky to have so many loyal – and much appreciated – guests/friends who join us every year – frequently more than once. If you are new to the Costa del Sol paradise that is El Oceano Beach Hotel, see what folk are saying about us on Facebook or TripAdvisor (although we don’t recommend you book via TripAdvisor, they add money to your bill). Naturally, we hope to see you very soon! The sunny, south-facing terrace. Enjoy unspoiled sea views. Surrounded by semi-tropical, well-tended flora, our terrace sits right on the beach, overlooking the beautiful Mediterranean Sea. It really is the perfect place to relax and enjoy the Spanish sunshine. Our servers are on hand to take your order, or drop by the pool-bar for a cooling cocktail. A finer Mediterranean terrace is difficult to find. At the far end of the garden, you’ll find the heated swimming pool with ‘swim-up’ bar! Not only that, but the VIP Sunbeds surround the pool on various terraces. It’s the perfect place for an Awesome Afternoon of luxury on the beach! The best place to eat on Mijas Costa. Forget the rest! Three wonderful places to eat in one restaurant! 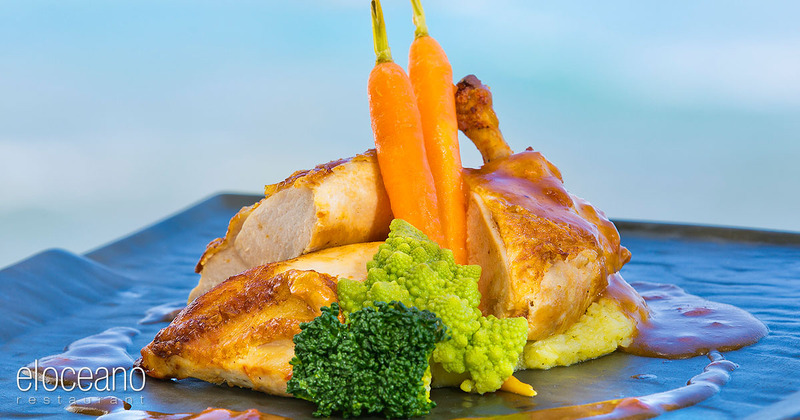 Our restaurant has three dining areas, the Ocean Room, the Veranda and the Waterfront Terrace. The Ocean Room. Right next to the Martini Lounge, a beautiful room with almost panoramic views. The Veranda. A feeling of being suspended over the ocean, the Veranda. The Waterfront Terrace. Out in the garden, al fresco dining at its very finest. Taken during the Spring of 2017, here are a few, mouth watering shots of what you may be eating! As always, many thanks to Gary Edwards for his photographic efforts. They look great, don’t they? And just to say… these are not ‘stock’ photos, these are genuine pictures of our dishes, fresh from the kitchen, before being served to hungry guests. A place to be pampered and relax. Spoil yourself…! A place to relax while our top beauty therapists, hairdressers and nail technicians take care of your every need. All our beauty technicians are qualified to provide a wonderful menu of luxurious treatments. Swim up to the bar… order a cocktail… paradise! The outdoor heated pool overlooks the beach and boasts a VIP sun deck with double bed loungers seemingly suspended above the sea. Enjoy the Polynesian style swim-up bar where in summer an impressive choice of cocktails are served by El Oceano’s expert friendly staff. Further features include an indoor, heated pool, Jacuzzi, swim-spa and steam room. All at your disposal, all for your prefect stay. Book yourself a private bed on our VIP Sun Deck. Spend the day between the pool and the sea! Always popular, our VIP sun beds are on the sunny decking terrace, right next to the water. The perfect place to relax with a cool cocktail, all VIP bed clients receive a VIP double lounger, towels, swim-up pool bar, jacuzzi & waiter service! You can book your bed in Reception, but remember they are very popular!